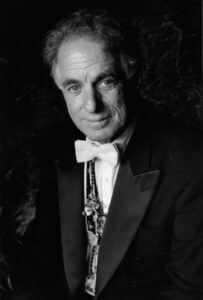 Famed conductor, composer, performer and musician David Amram will visit St. Mary’s University on Nov. 7 to speak with students about his life in music. Amram has conducted 75 of the world’s top orchestras and has written more than 100 works for symphony and chamber orchestras. He has composed 23 Broadway musical scores, including “On the Waterfront,” and 20 film scores, including “Splendor in the Grass” and “The Manchurian Candidate.” He also has written two operas. He will give a presentation and take questions from 3:10-4 p.m. at Treadaway Recital Hall on campus. Students from other area schools and universities will be in attendance. Amram is known for his contributions to jazz music – especially French horn – and was inducted into the Oklahoma Jazz Hall of Fame in 2011. He was named the first Composer-in-Residence for the New York Philharmonic by Leonard Bernstein in 1966. He performed in more than 35 countries and has collaborated with stars of the stage and screen, including Bernstein, Dizzy Gillespie, Langston Hughes, Aaron Coplan, Thelonious Monk, Lionel Hampton, Charles Mingus, Dustin Hoffman, Johnny Depp, Willie Nelson, Jack Kerouac, Bob Dylan, Pete Seeger, Betty Carter, Elia Kazan, Arthur Miller and Tito Puente. At age 85, he’s still creating music. Also on Nov. 7, the Schleuning/Pegis Duo (Violin/Cello) will host and perform a concert at 7 p.m. at Treadaway Recital Hall. It will feature music by Ravel, Hindemith, Kodaly, and Augusta Reed Thomas. The concert is free and open to the public. Amram will be in attendance and will greet guests at the reception afterward. The Schleuning/Pegis Duo has commissioned a new concerto for violin, cello and orchestra currently being created by Amram. The piece will be premiered in Laredo during the 2017 concert season. A donation may be made at the concert to help cover the costs of the commission.